Hugely popular gifts this year but there will be no more shipments till after Christmas. So if you are planning to outfit your sewing room with one of these delightful units, you need to move quickly in case Hobbysew sells out. 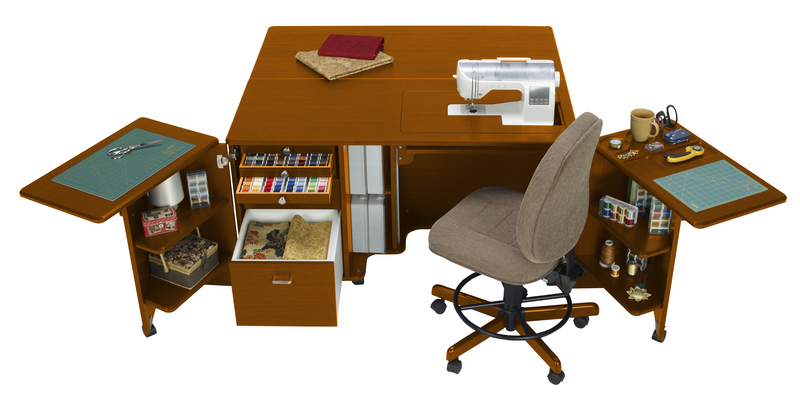 Have you ever thought how useful it would be to have your own sewing room? The dream could be closer than you think. 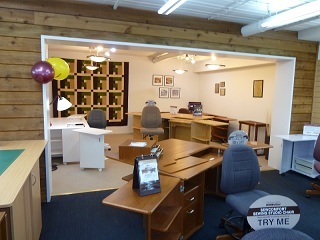 Even if you are not lucky enough to have a separate room, our Top Ryde store has a display of some of the lovely sewing room furniture you can use to decorate even the smallest corner of your home, so that your machines and patterns, fabric and notions are stored out of sight in a practical, yet attractive piece of furniture. 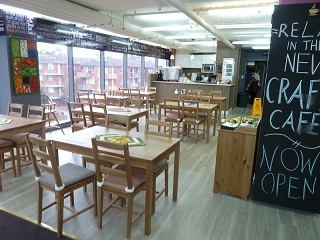 Why not pop in, have a coffee in their in-store café and examine the different types of furniture settings they have on display. How much space for craft? Once you’ve taken a look at this video, you’ll look at your craft space in a whole different way. And even if you don’t have a permanent and dedicated place at home to sew and craft, it makes you realise, just about anything is possible! So while you’re thinking about it, take a look at the storage solutions from Koala Studios and Tailormade. You may just find exactly the solution you need! Join us at the Craft & Quilt Fair! It’s that time of the year again, Australia’s No. 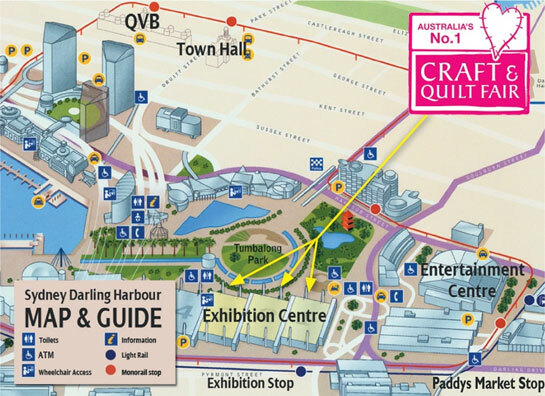 1 Craft & Quilt Fair is in Sydney! Come and visit us at Stand K47 where you’ll find our beautiful Koala Studio Furniture and Tailormade Furniture on display. Beautiful selection of the latest Fat ¼’s. Unique Quilt Kits/Patterns and assorted Giftware. “The Craft & Quilt Fair is Australia’s favourite craft event. It’s all about craft – seeing what’s possible, learning new techniques and buying all you need for your craft projects. Whether you are a beginner, or a clever craft goddess, you’ll find ideas, inspiration and a huge range of exhibitors selling craft supplies. Under one roof you can shop with craft specialists from all over Australia and find unique products for stamping, scrapbooking, knitting, embroidery, sewing, quiltmaking, jewellery-making and more. So don’t forget, Wednesday 22 June – Sunday 26 June, 9am to 5pm daily come and join us at the Sydney Exhibition Centre in Darling Harbour! Come in to any of our Hobbysew stores to find a fabulous gift for Mum this Mother’s Day. 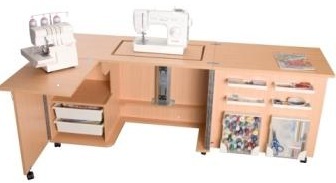 If she’s a creative Mum, she’ll love anything you buy from us but if you are thinking big, there are savings of $400 to be made on the SewMate Plus IV – the dream sewing cabinet. The SewMate Plus IV features an electric lift with remote control to lower your machine up to sew or down to free up a flat surface for cutting or craft activities. Impeccably finished with bevelled edges, the unit comes in scratch- and water-resistant veneer in a variety of beautiful finishes. 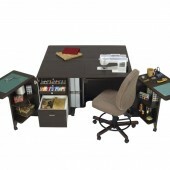 There are soft-closing drawers and plenty of storage and flat surface for working on too. So go on, give Dad a nudge. Mum will love it!